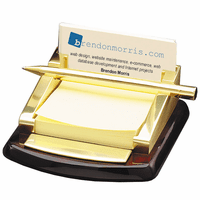 Greet all visitors to your desk in style with this desktop business card holder and pen set. It has a solid rosewood body, lacquered to a piano finish. 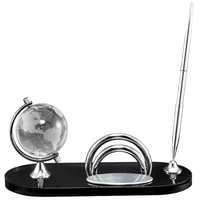 Polished steel feet complement the matching steel card holder, clock and pens. The card holder holds up to twenty business cards. The clock is battery operated. 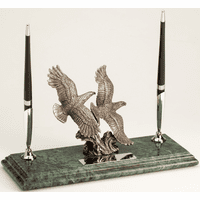 The dual pen holders come with two matching polished silver ballpoint pens. 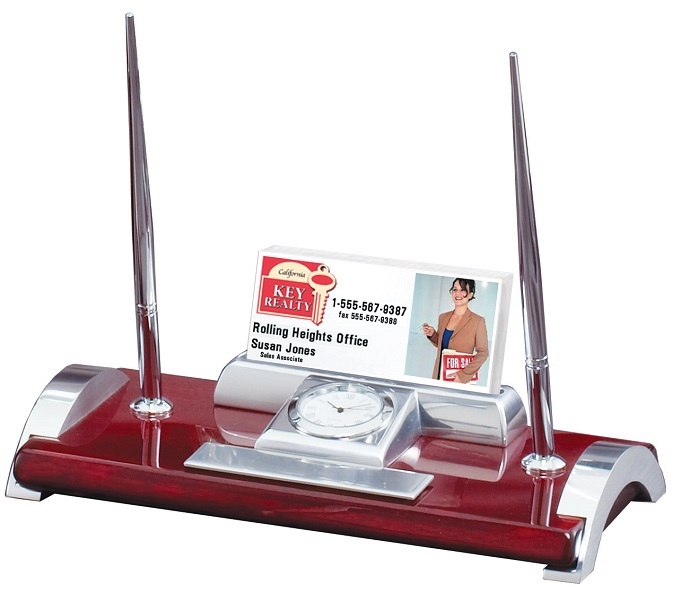 A silver plate in front of the clock can be engraved free of charge, creating a personalized desktop accessory ideal for corporate awards and business gifts. 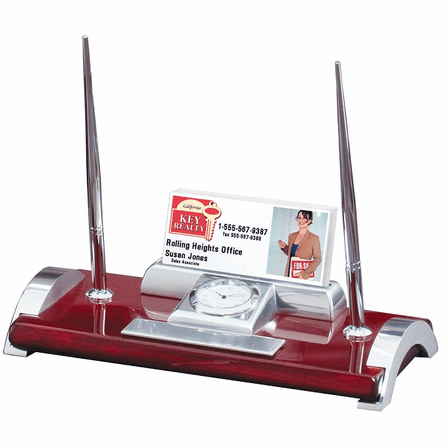 Packaged in a gift box, this desk set ships out within one business day. Case dimensions: 8" x 4" x 1 1/2"
I was very pleased with this purchase. The desk set is for an executive at a major Las Vegas Hotel, and it's going to look fabulous on his desk. The inscription on it was perfect, and I received it within a very short time of ordering it. Thanks so much for great customer service. ProsRich wood, with matching silver-tone pen, name plate and clock; all highly polished. The desk set is great, but more importantly the service is amazing. Made an error on my plaque, which was my mistake, and they replaced it promptly with no hassles for free.